All Green Heights homes currently listed for sale in San Antonio as of 04/24/2019 are shown below. You can change the search criteria at any time by pressing the 'Change Search' button below. "Winner of the Sustainability Award for the city of San Antonio 2018. 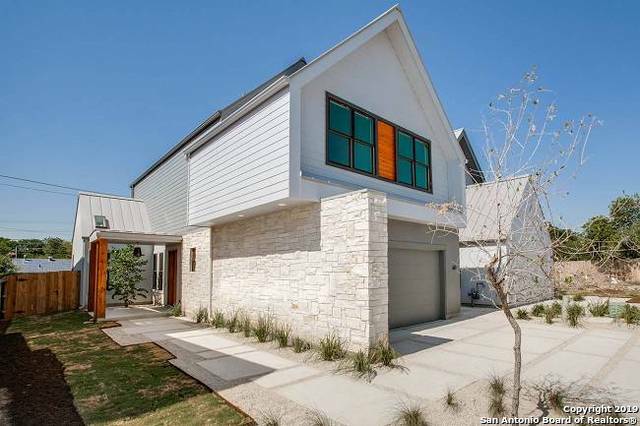 Very special opportunity to own a brand new certified Green Home in a very centrally located new subdivision in Alamo Heights School District w/ high end Bertazoni appliances, Kohler fixtures, wood & concrete floors, solid wood windows & doors, tremendous storage, oversized garage & all 5 min. from the airport & The Quarry, 10 min. from downtown." "Winner of the Sustainability Award for the city of San Antonio 2018. Very special opportunity to own a brand new certified Green Home in a very centrally located new subdivision, in Alamo Heights School District, with high end Bertazoni appliances, Kohler fixtures, wood & concrete floors, solid wood windows & doors, tremendous storage, over sized garage & all 5 min. from the Airport & The Quarry, 10 min. from downtown."